You are a very talented woman. I curtsy to you. Amazing how a man project can only be finished by a woman! Can't wait to see the bags. That's awesome! Waterproof canvas can be difficult to work with. Photos when you're done, please! 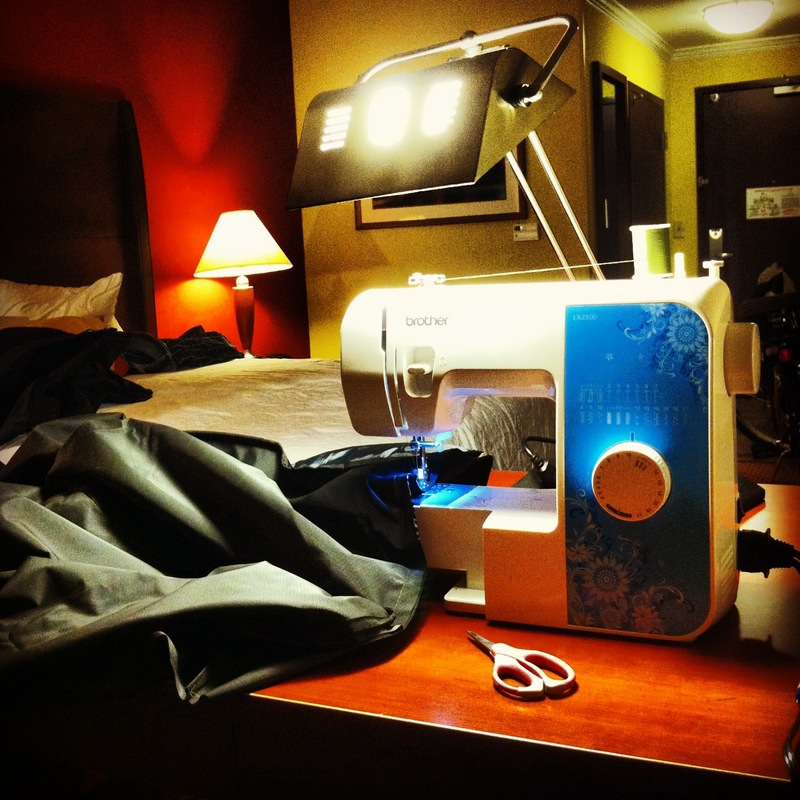 do you keep a sewing machine on the truck? MARLAINA: I will have to take pictures of them on the bikes. They came out pretty good. BA: The fabric was a little challenging - the hardest part is cramming all of it under the little "arm" of a regular sewing machine.